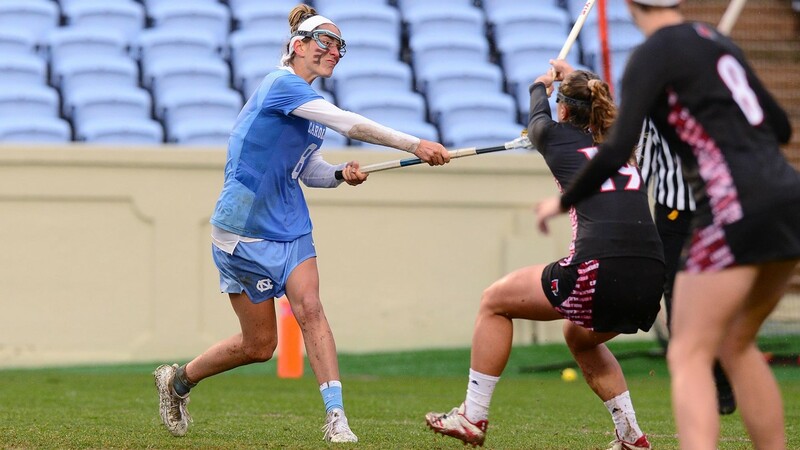 The third-ranked UNC women’s lacrosse team went into enemy territory Saturday afternoon in Gainesville and left with a hard-fought 11-9 victory over the No. 16 Florida Gators. Olivia Ferrucci led the Tar Heels (7-1) with three goals in the game, while Kara Klages and Tayler Warehime each added two apiece. Florida (3-5) was able to limit UNC star attacker Jamie Ortega to just one goal. The Gators took a 3-2 lead in the early portion of the game, but UNC would go on to score nine of the next 10 goals to take an 11-4 lead. From there, Florida put together a spirited rally by scoring the next five goals–but the comeback bid ultimately was stopped short. UNC returns home to Chapel Hill for its next game on Tuesday against Campbell (4 p.m).